Picnic Area at Hatfield Open Farm01707 895443work Picnic SiteSituated next to the farm is our large picnic area for all to enjoy, including two large play areas. 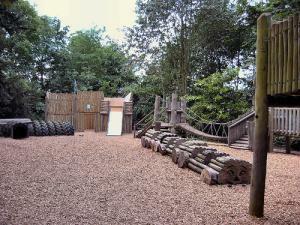 One of our play areas, brand new this year! Situated next to the farm is our large picnic area for all to enjoy, including two large play areas. You may wish to bring your own packed lunch or if you prefer lunch is available to purchase.